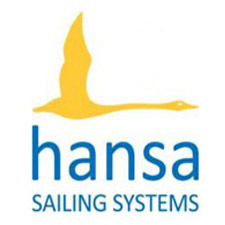 The first day of racing in the 2016 Hansa World and International Championships got under way today at the International Sailing Centre in Medemblik. Conditions were overcast and cold as competitors headed out for the morning session in the single person fleets – the Hansa 2.3, 303 singles and Liberty. The sea state at present is quite lumpy and, with the winds around 9 to 12 knots, it has proved a challenging day for some sailors. As this is the first time that many have sailed in the Netherlands, they are having to get used to the conditions in Medemblik. The group of nine Hansa 2.3 sailors are outnumbered by Greek and Portuguese sailors, but there is also a very enthusiastic Japanese sailor: Koji Harada. “It didn’t go very good for me this morning. The waves make it difficult on the water, maybe this will go better during the week.” Harada can be recognized by his big smile, always waving to everyone who sails along. He finished today with a fifth and fourth position. In the Liberty division, Gerard Beens has a dream start: “I’ve finished both races in first place. This is a perfect start.” Sarah Dunckley (NZL), competing in only her second Hansa Class event, finished the day with a second and fourth place, and a trip to the jury room in a case of mistaken identity. It wasn’t so lucky for fellow Kiwi Helena Horswell, who experienced servo problems in the first race and was unable to start. Making the start of the second race, she failed to finish, but looked on the positive side that at least she had started the race, and Is looking forward to better days ahead. It was a busy day for the jury, with seven protests lodged. “Events in this class are always busy for the jury, so it’s not a big surprise there are so many protests”, head of jury Lynne Beal explains. In the SKUD18 there is very close racing, as expected. Dutch sailors Rolf Schrama and Sandra Nap know the waters of Medemblik very well. Today they finished with a first and a third place. Their rivals from Poland, Monika Gibes and Piotr Cichocki finished the day with a first and second place. The winds forecast for the morning session of racing tomorrow are lighter, so this may change positions of the leaders. 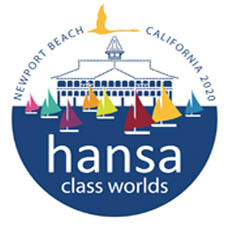 The two person classes – the Hansa 303 doubles and the SKUD18 – sail in the morning session, with the single person fleets – Hansa 2.3, Hansa 303 singles and Liberty – in the afternoon. Results are available via this link.